[New for 2018] Welcome back to another quick sampling of free Haagen-Dazs ice cream. This is one of the three in the new Decadent Collection. 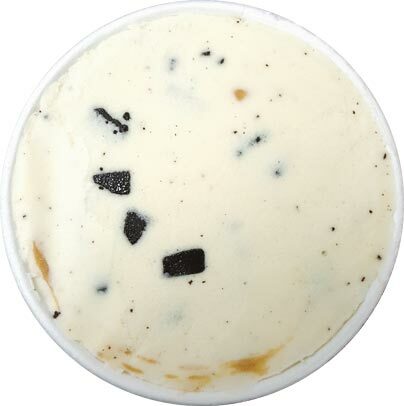 I say quick because a) banana isn't really my thing and b) 2/3 of this pint got lost in a power outage. That said, this is Haagen-Dazs so you know it's still going to be good. That's a decent opening shot. Not super busy but we've got teases of both the chips and the swirl... I actually stole a few little bites of this one on the day I dug in to the amazing new honey almond flavor. I knew from that quick test that it had potential. I officially attacked this one a day or two later and it is well crafted ofcourse. It's got a good real banana flavor but it's not straight banana. It comes across as more of a banana cream flavor. Granted I don't have much experience with banana cream pie, but it seems like the best way to describe it. In the past I would often compare these types of flavors to banana bread, but that's just not appropriate here. Can I tell you about the peanut butter swirl? Good, because it's amazing. I spent the entire time just digging the swirl out. I'm bummed the power outage completely melted this pint because I was totally up for continuing the quest of getting out the swirl. To me, the flavor was right where I wanted it to be. It was spot on. The chips didn't seem to be a huge factor either way... ok, I probably just wasn't paying attention to them. Did I mention the excellent swirl? So banana fans, track this one down and let us know how it compares to some of your other favorite banana flavors. Good luck! Banana is not my thing either, but I really loved this one. I think the mild banana and the PB swirl won me over. My kids truly loved it. I preferred it to like a chunky monkey Ben and Jerry's by far. It seemed much less potent. Now I really want to try the other decadent flavors as soon as I can find them! Ha, I think you two just showed what I was trying to say. It's more mild for people who don't love banana, but not surprising that a banana fan would be underwhelmed. Thanks for the comments! The banana is not a pure banana its more of a laffy taffy tasting banana which may throw some people off. 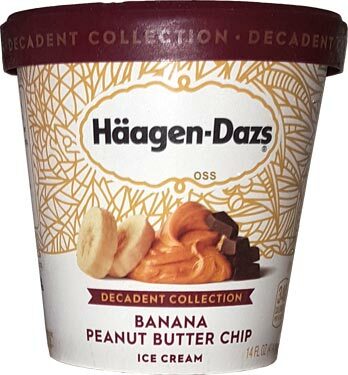 Arguably I would put Steve's Banana Pudding and Wegmans Banana Peel'N as superior banana bases after trying this one. If you do not mind a subtle and lightly flavored banana base this will be top tier for most people. 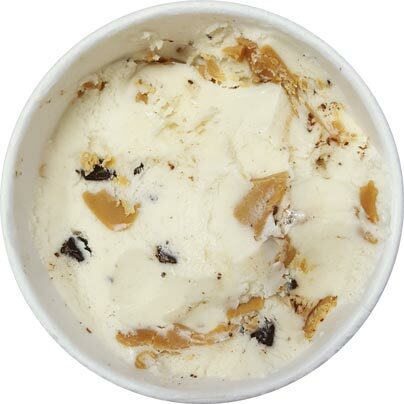 The PB Swirl is outstanding it reminded me of Turkey Hill with how thick and crunchy it was. This was not a typical PB Swirl which is creamy and salty it had that extra texture to it which made it different from the rest of the ice cream market. Late review of this. I didn't like it at all. In fact, I tossed more than half of the pint. There were two problems. First, the banana ice cream didn't taste like banana at all. It could have been vanilla for all the banana flavor it had. Second, I didn't like the texture of the peanut butter swirl. It was just too grainy and hard. Definitely not for me.